I screen printed 100 empty Kilner jars. Over the last couple of years I have been carefully filling the jars with an assortment of relevant and random objects. In the spirit of collections and rarity, these objects have been printed at very low print runs, ranging from just 1 to a whopping 7. 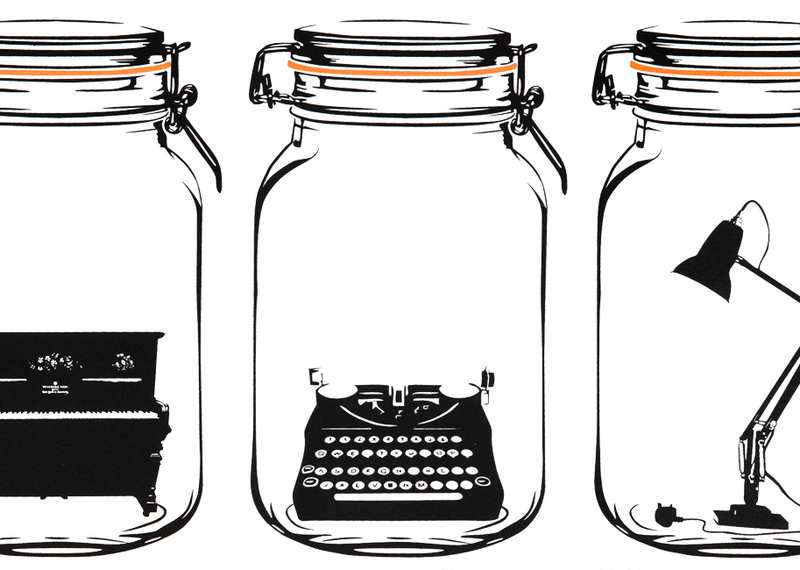 The Kilner jars were drawn and are printed exactly to scale.